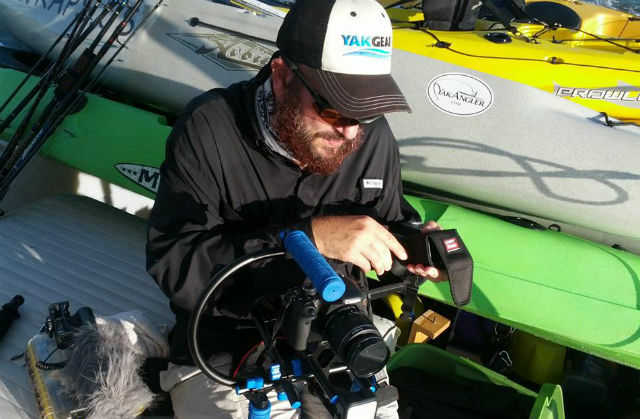 As narrated by Yak Gear Brand Ambassador Derick B. 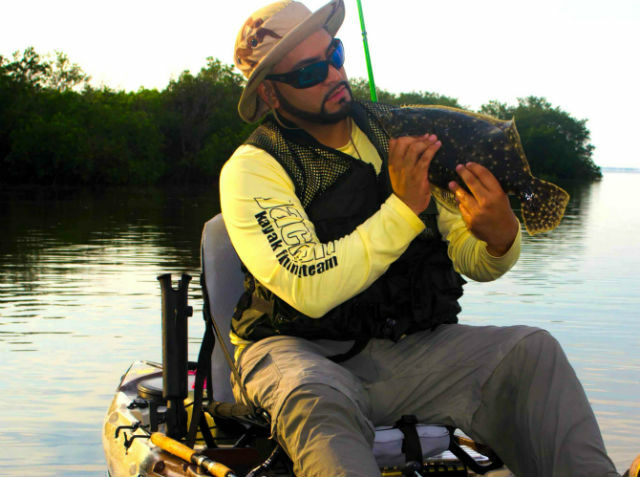 In a conversation with fellow Yak Gear Brand Ambassador Esteban G and some people at the Latin Chamber of Commerce, we quickly realized that Spanish speakers made up a huge portion of kayak anglers in the Florida area. However, the sport is not very well represented in the big time Spanish language media. 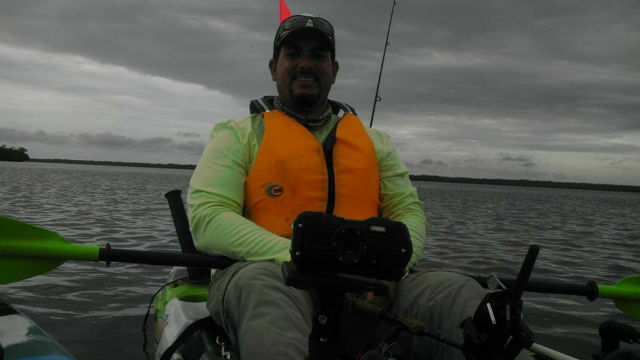 Apparently we were not the only ones to realize this trend… Soon after our preliminary discussions, Telemundo and Univision – two large market American Spanish broadcast television networks – expressed their interest in a having a TV show about fishing on their networks. Esteban and I went to work. 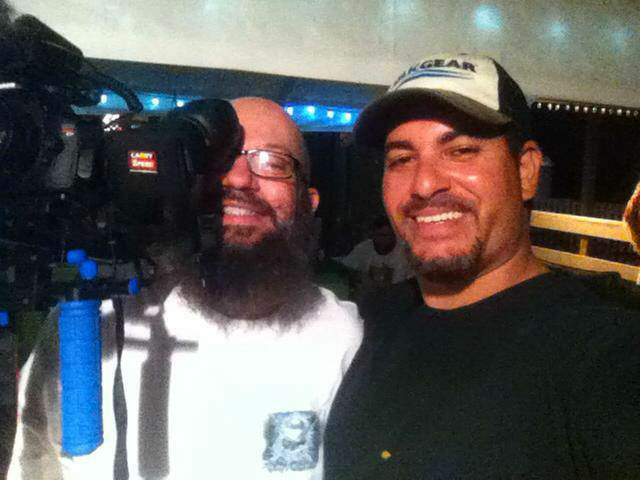 Esteban made arrangements with Rich Jones, a kayak guide out of Chokoloske/Everglades to camp and film for a weekend. We had 2 months to plan. Two whole months to plan and there was only one major plan that needed to be set in stone to make this promo a success. Can Rob DeVore of Yaktastic Adventures film and edit it? As a side note – Rob’s work is incredible. If you are a kayak angler and haven’t seen Bass on the Road or Everyday Push, you should check them out. Once Rob DeVore was down, we knew we’d have a hit! Rob and I made our way south to Esteban’s house in Ft. Myers. Once there, we had some serious preparations. We drank, ate steaks and literally stayed up rigging our kayaks for the morning. This came quick since we ended up on the road at 3AM. Our destination: The Barron River. Within minutes we were on trout and “juvi-snook.” I landed the only redfish. The winds were high and we were a little beat up from no sleep but managed a few hours of decent fishing. The reds knew we were tired. Once out of the water, everything went south. The winds blew to over 30 mph and an unexpected cold front rolled in putting a halt to our camping. We ended up shacking at Rich’s 2nd story bungalow for the weekend. On the second day, the winds were too high to even think about fishing. 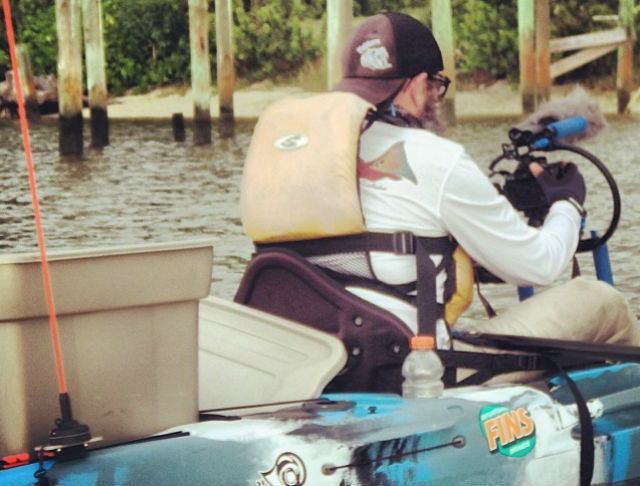 How are we going to shoot a kayak fishing promo for two large network television channels when we can’t even get on the water? We improvised and reached out to appeal to the culture of the sport and the culture of the language! How? 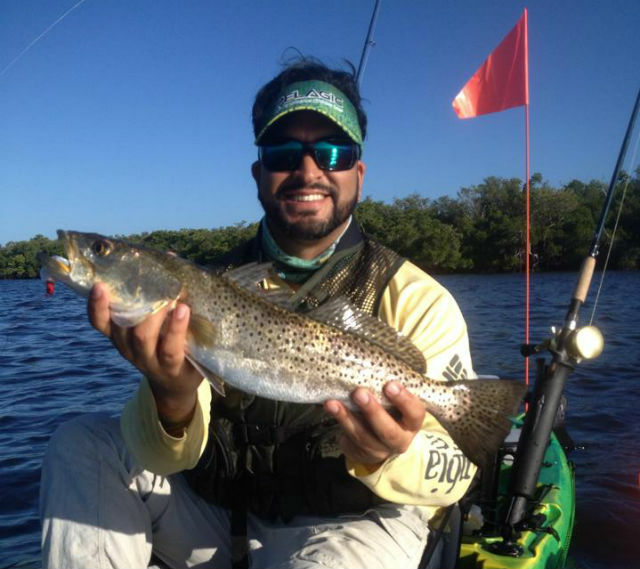 By telling kayak fishing stories, reaching out to the local kayak anglers, eating, and drinking! For dinner, Rich took us to a small, yet cozy spot called Cameilla Street Grill. After a quick conversation with the owner, we decided to do some footage and some “grubbage” too! Our interviews with the staff were topped off by some of the best food I’ve eaten in a while. Fresh frog legs, fresh fried mullet, catfish, gator, stone crab legs and the freshest papaya/herb salad money could buy! Did I mention the open liquor and sangria tab? How else would two kayak anglers send a wasted day of fishing? Well, the winds didn’t lay down much but since it was our last day, the show had to go on! Robs set up the cameras and we were off! After all, Telemundo and Univision sure aren’t going to take a promo of us practically getting skunked on day 1 and hanging out at the bar on day 2. This time we fished he infamous Chokoloske Bay. This trip was very different since we fished open water with several shell keys and islands rather than the backwater/creek scene we fished before. The bay was full of activity from the start. The mullet were jumping and the pelicans were diving. We even saw a Bald Eagle chillin’ on the bank. 8 hours later we decided enough was enough. We had plenty of footage – minus the parts where I kept slipping up and speaking English in – and were ready to get home. Check out the promo below! We hope you enjoy it as much as we expect Telemundo and Univision do. Keep an eye out for updates soon! We want to know what you think about the promotional trailer of Fishing Las Americas! What are some things you would want to see on the show? Tell us what you think! Comment below, reach out to us at socialmedia@yakgear.com or find us on Facebook, Twitter, and Instagram using the #YakGear hashtag!